There is a new addition to the list of Microgaming instant play games since the online slot named In It To Win It has now been launched. This game takes the players to the cut throat business world to let them enjoy its luxury. A palatial mansion serves as the background to the reels and the symbols are all related to the business world as well. The business tycoon is the scatter symbol and it awards the scatter payouts correspondingly. A wad of cash, the In It To Win It logo, the vintage car and the private jet are among the other symbols related to the theme. So the players can count on the payouts when they see at least two such symbols on the reels. All the symbols but the scatters pay when aligned from left to right. The scatter symbols will pay out regardless of the position they keep. And Microgaming’s usual playing card icon from Jack to Ace make the low playing symbols in the game. The structure of the In it To Win It game is rather peculiar too. There are one hundred paylines and just 3 rows of symbols across the reels. And since the thematic symbols pay out when 2 come together on a payline, the players will be surprised with just how many payouts they can get. This feature will surely attract many players to the game. Also, since usually the wagering with all 100 paylines is enabled the total bet makes a hundred times the line bet. But there is the way to control the bankroll by means of using the coin size and the number of coins options. The way to trigger the bonus game is to get at least 3 tycoon symbols anywhere on the reels. The player will need to make a choice between 4 executive style briefcases with some information in each of them. The information includes the amount of free spins the player gets (like ten, fifteen, twenty and twenty five) and the answer to the question which thematic symbols will be wild during these free spins. The wild symbols presented can substitute any symbol but the scatter symbol. Also there is no way tore-trigger the free spins. 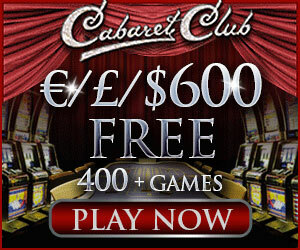 There are some features of a standard gamble game by Microgaming casinos in the In It To Win It as well. For instance the players not wager the payouts but collect them instead. As most online casinos that are using the gambling software developed by Microgaming have an instant play platform they are all offering the newly released slot game. Among such online casinos are of course Spin Palace, All Slots and Jackpot City casino.